Lynne McTaggart: Will Tesco Honor Their Holistic-Minded Customers? After removing our magazine What Doctors Don’t Tell You for sale, Tesco is learning to its cost about exactly what makes for a good corporate brand. Hundreds and hundreds of our subscribers have informed Tesco that they are boycotting the store chain as the story has gone wildly viral on the internet without much prompting on our part. This wave of anger toward the store chain shows little signs of stopping. When our customers first objected to the removal of WDDTY, Tesco’s customer service department maintained that this was simply a numbers game. The problem with WDDTY had nothing to do with the legitimacy of the content, or bigger issues like censorship or the right to hear about natural medicine, or even whether those supposedly complaining about WDDTY were actually legitimate Tesco customers. As the customer service people explained to our readers, their numerical equation was all about the relatively small numbers they were selling against the number of complaints they initially got from the trolls and their organized campaign. Indeed, the trolls worked out that any magazine that has 150 complaints against it will be removed from the shelves. We are a small publisher producing a niche title. Although we sold well in Tesco, we don’t sell as many copies as, say, magazines showing celebrities in their luxury homes. As Tesco now sees, that attitude and those numbers have turned hugely against them as hundreds of our readers boycott their stores, not simply because they banned WDDTY but because of what that tells our people about what Tesco does or, in this case, does not stand for. As one of our readers wrote recently, by stocking WDDTY, Tesco had made a statement about their values; in fact, he noticed that his local store was stocking not only our magazine but also stocking more organic fruit and vegetables and other organic products. From this he deduced that Tesco was taking a positive stand in enlightening their customers about improved nutrition and better health. He felt good about what the store stood for and felt good about shopping there. Here was a store that didn’t simply just pile ‘em high and sell ‘em cheap. This was a store that wished to guide its customers to make intelligent buying decisions. This conclusion, he said, proved to be premature, when Tesco summarily withdrew our magazine from its shelves and its customer service department gave him their spiel about it all being about numbers. They even sent him a voucher to say ‘sorry’. He also noticed that in attempting to compete purely on the supermarket price wars, his local Tesco had reduced their line of organic food. He politely returned their voucher and told him he was no longer planning to shop at Tesco. Price reductions, special offers vouchers and money off don’t compare with long-term measures like quality, dependability, service and trust, he said. As we realized, a brand isn’t just about what exactly you have for sale. It’s about what exactly you stand for. The John Lewis Partnership understands this. In the midst of the Great Depression’s banking crisis in 1929, John Spedan Lewis, who became the head of department stores in Britain after the sudden death of his father, believed that the “present state of affairs” — by which he meant outside shareholders who separate the providing of capital and its use — was a “perversion of the proper working of capitalism.” He thought it was unfair to have faceless outside millionaires owning his store, while his workers eked out a living. He turned his department store into a partnership, with each and every employee a part owner. No matter how menial a person’s contribution, each employee would receive an array of perks, including excellent pension schemes and country-club membership for weekends away. But the most radical idea of all was that profits would be split among all employees. Although the workers would receive differential salaries, according to their contribution, to this day, each employee, from the lowest shelf-stacker to the chairman, receives the same percentage payout of his own salary as a bonus. That value system started by Lewis continues to pay off. In the midst of the recession in 2010, when Marks and Spencer, Britain’s No 1 retailer, made profits of just 5 per cent, John Lewis distributed £151 million in profits, with every one of the store chain’s 70,000 employees receiving 15 per cent of their basic salary — the equivalent of 10 weeks’ pay. A good brand is about standing for a set of values – whether it is about fairness, in the case of John Lewis, or against censorship, as stores like Tesco’s should be championing. And the public is extremely savvy. They know, as the old saying goes, if you don’t stand for something, you’ll fall for anything. And eventually, you’ll probably fall over. Lynne McTaggart is an investigative journalist and author, and a sought-after public speaker whose talks and workshops have transformed the lives of the thousands around the world who have heard her. 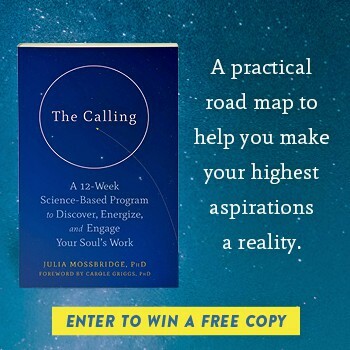 She edits the monthly health journal What Doctors Don’t Tell You and was also the editor of the 48-lesson partwork, Living The Field, perhaps the most definitive work yet to bridge the worlds of physics and spirituality in its 768 pages.